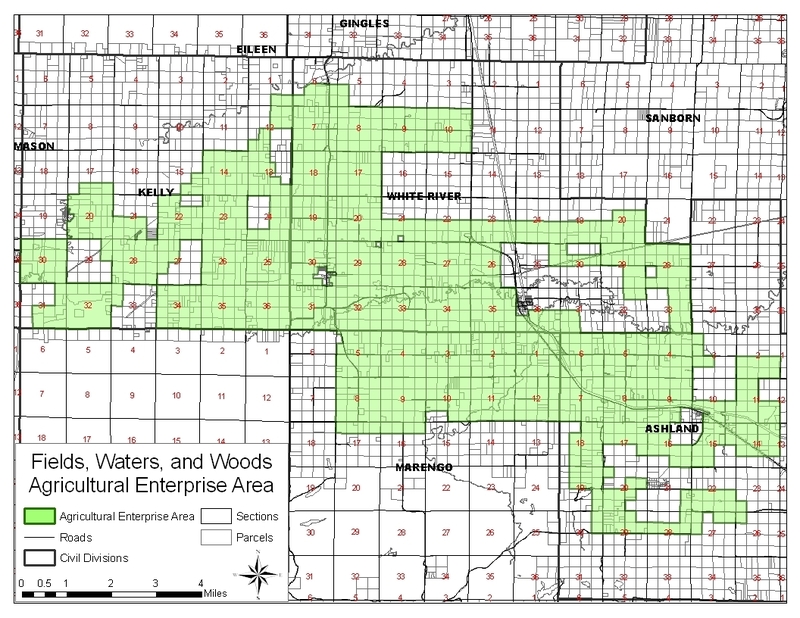 The Wisconsin Department of Trade, Agricutlure, and Consumer Protection launched the Working Lands Initiative in 2006 as a renewed effort to protect the farmland of Wisconsin. Part of the Initiative is the Agricultural Enterprise Area Program that allows producers to participate in farmland preservation. Eligible landowners within an AEA can voluntarily enter into a farmland preservation agreement, which restricts use of the land to agriculture in exchange for a Wisconsin income tax credit. The AEA is also a recognition of the importance of the farms within the AEA to the agricultural economy and culture of the region and Wisconsin. As such, producers, policy makers, citizens, and other stakeholders within an AEA are encouraged to work together to support the agricultural economy of each AEA. 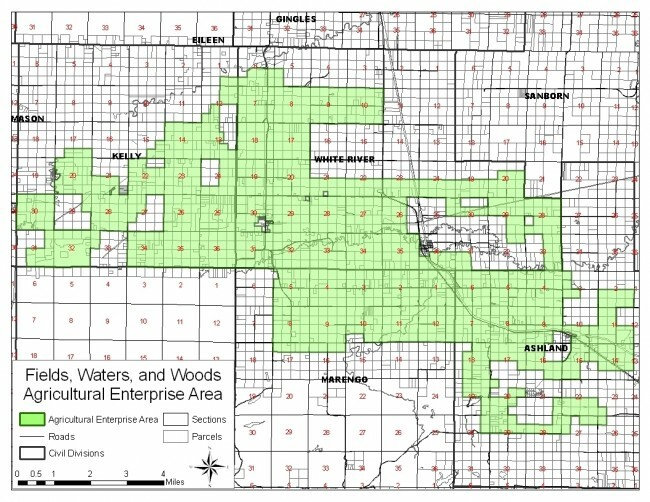 The Fields, Waters, and Woods AEA was designated in 2013 and is currently roughly 43,000 acres in size primarily within the Marengo River Valley.